Some days ago, we published an article about the User Experience being nowadays one of the most important SEO Ranking Factors. From the best possible User Experience, a plenty of SEO criteria ensue, which have become undoubtedly vital for a website ranking: the lack of broken links, the time on site, the low bounce rate and Google said in 2010, also the website speed. First things first, let’s get to learn how to test your website speed. As we explained in our previous article, Google wants its results to provide the best possible user experience to its users, and who’s patient enough, to wait more than five seconds for a page to load, nowadays? If a website isn’t loading fast enough, we close it, we get back to Google and to some competitors (the so-called pogo-sticking), so, by being too slow, you don’t just lose potential customers today, but also precious ranking in SERP as a longer-time damage. 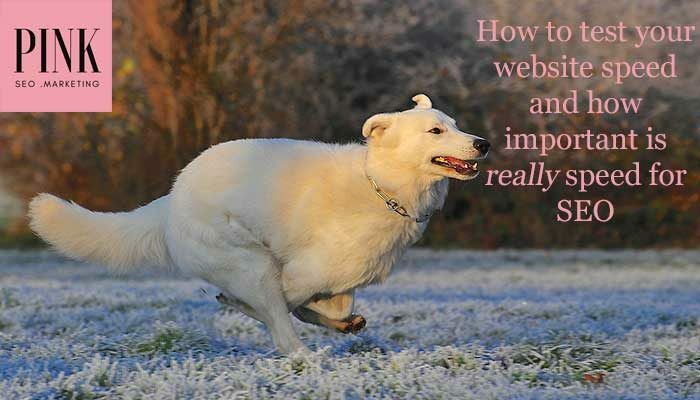 The web page speed is a ranking factor. But you may not have the slightest idea of the loading speed of your site, and that’s not uncommon when you are not aware of how an important SEO factor it is. There are many online testing tools to identify your website speed, but I always tend to prefer the free Google Page Speed Tester. After all, it belongs to the same Company who controls your SEO ranking, and they tell you exactly what to do, to do better in their ranking! From the Google Page Speed Tester, you can run a test typing your website’s URL. The analysis goes pretty fast and you see a Mobile and a Desktop tab at the top and it will tell you which to fix on each one. The page speed value is provided in a percentage, out of 100 as a maximum possible score (which is not impossible to achieve). Google Page Speed Tester will declare very clearly how to optimise your page speed: all those hints will have to be followed by your developers, system admins or professional of choice and you’ll get to the green result and a good grade. There’s also another, more technical tool, webpagetest.org, which also shows your website’s Time To First Byte (TTFB), which might be what Google is looking at. Time To First Bite is the time that the request for loading your site is sent to the server when somebody types in a website and hits enter and then the very first byte or piece of information comes back to the website. This must be checked into your server settings and make sure it is optimized. Here’s a small introductory video on how to test your website speed and how to optimise it, by Google Developers. If you need our help getting your PageSpeed Score Up, just ask: this is one of the SEO services that more often are required recently and its results, with suggestions how to improve, are featured in each Site Audit Report we deliver, together with all other important website ranking criteria. With more than 50% of online traffic coming from mobile devices, everyone expects a site to load almost instantaneously. However, you need to consider the SEO criteria in a holistic way: according to Google RankBrain, the page speed SEO effect can be secondary in itself, if you have a page nobody stays on, with an extremely high bounce rate and low user engagement. Have you ever tried to test your website speed? Have you ever thought of working on this to rank better? Let us know this in the comments and on our Social Media pages!